Are you planning to live long enough to make a model of this, or are you going to pass it on to your children and grandchildren----and maybe even your great grandchildren? Its definitely going to be a long term project, even by my standards (finished the Shay and Lombard builds in about a year each). I am figuring this one to be about 2 or 3 years, give or take a year - its a SLIGHT help that two of the four steam engines in it are identical, so that will save a few weeks! I love this kind of project - like you I really enjoy the build, and this one has LOTS of new shapes to figure out how to machine. I am hoping to take things up another notch in the level of detail, always learning new techniques. 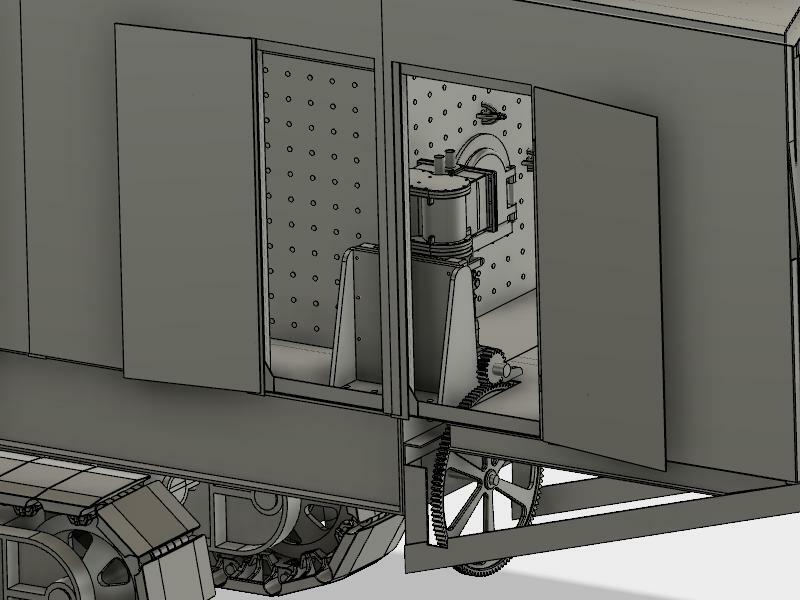 Given the size of the boiler, I'm not sure if this one will be practical to run on actual steam, or if it will rely on a compressed air line running in. The boiler on the real one is fairly small compared to the ones on locomotives, and depending what scale I build (something around 1:16 is current guess) the boiler could be too small to run four engines, the main engines are quite large bore/stroke let alone the slew/crowd ones. 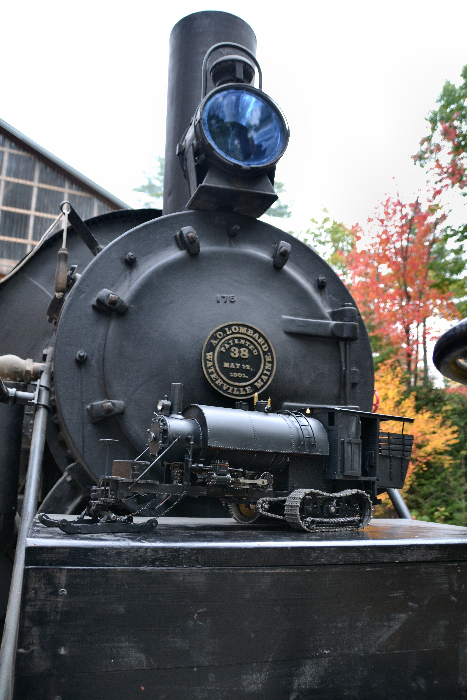 The NPS guys were very surprised at the size of the boiler, but it obviously was enough for the real machine, it was used for over 40 years. 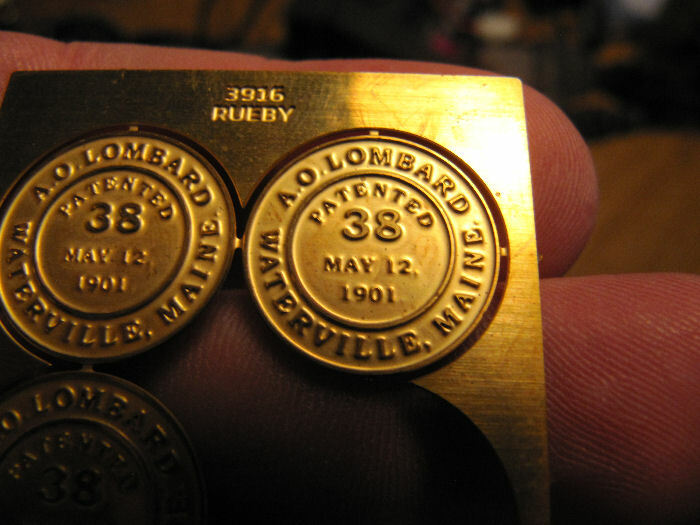 This afternoon the casting arrived with the boiler front nameplate from the Lombard Log Hauler up in Maine - the gentleman who made the pattern and cast the one for the restoration of the real one kindly agreed to cast and sell me a bronze copy of it, came out pretty nice. So, after some casting fondling (hope I don't have to send it to Jo for some professional casting-fondling time), I'll get the edges filed/sanded smooth where the gates were, get it wire brushed clean and painted. Should look wonderful with the model! Very nice Chris, would it help to flycut the top of the letters to make them stand out more? Rear track frames now done too - after making the ones for the front, naturally the second (similar) set went quicker. That nameplate casting looks great, Chris! That's a big hunk of bronze! 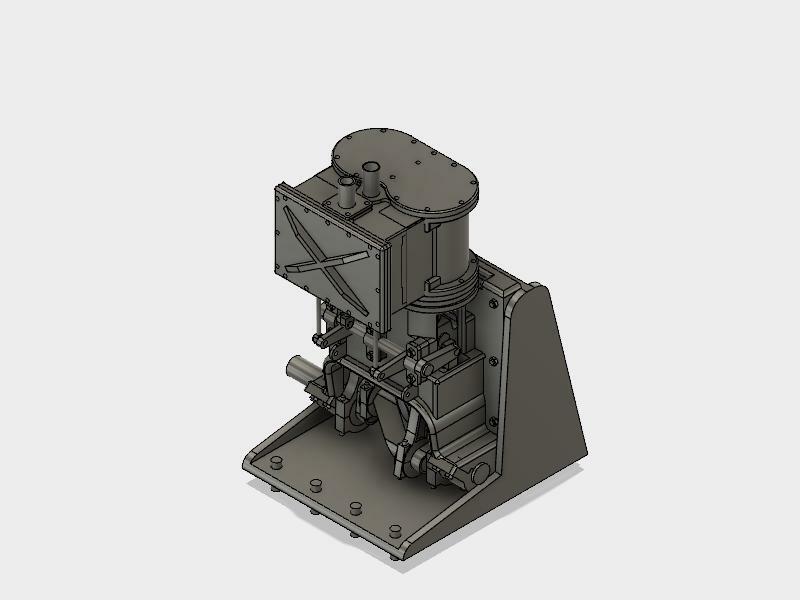 I was looking at the photos and measurements of the steering engine, and it looks like I got a break, it appears to be identical to the slew and crowd engines, just scaled down by a third and put on a vertical mounting bracket. So, that will save a lot of drawing time, just need to scale a copy and draw the new bracket and gear covers. Won't save much time actually building it, but that's fine. I figure that the whole thing needs a good wire brushing to remove the sand residue, the outer rings and tops of the letters will get filed and sanded smooth, and there are some of the inner edges that need some detailing. The background will stay rough as cast. Then probably a soak in citric acid to brighten it all up and clean off any oils. At that point I will decide whether to paint it black with gold tops like the original, or give it a clear lacquer coat, which could look really nice, have to see what the bronze comes up like. Either way, it's a great piece. Oh yes, I've gotten the color cast from used pickle solution before! I have a fresh bag of citric acid crystals and will try it with that. If I don't like the color it comes out, paint is always the fallback. and where it sits next to the boiler backhead. The spur gear on the output shaft engages a larger gear that turns a shaft that runs up to the steering box in front of the rear tracks. That box has a worm gear to turn the motion 90 degrees across the frames, turning a really long acme threaded rod that moves the front bar of the rear track assembly back and forth, steering the machine. Not going to be too much to show the next day or so, I've started sorting through all the pictures from up underneath the main frame, tracing which control lever goes to which control rod, and where that leads. Lots of clevises, control horns, counterwieghts, cobwebs, and birds nests to diagram. So far I have the dog clutch, throttles for hoist, crowd, and steering, and the hoist clutch figured out. Still need to trace the reversing link on the hoist, throttle for the swing engine, and the hoist brake linkages. Lots of breaks for cookies and leftovers! All these 3-D drawings and details are incredible. Most impressive work on your part. This work is beyond belief. Truly a labour of love. You must have spent hours of research before even beginning to physicallly represent the parts on the computer. A most fascinating project to follow. Thanks John/Thomas! 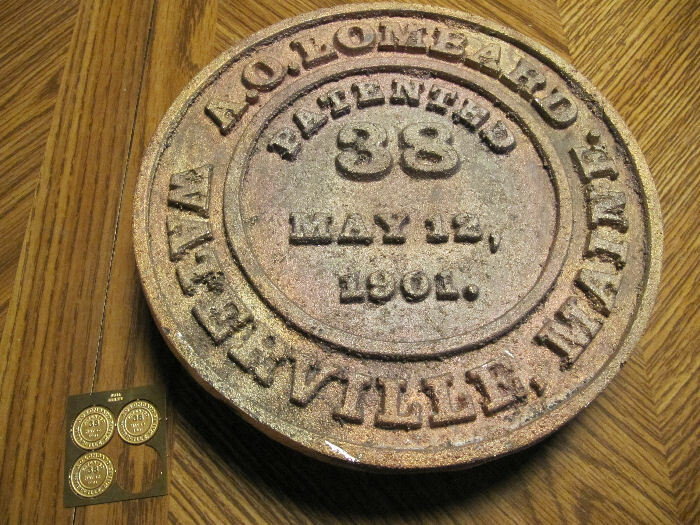 I've been researching this shovel since last spring, digging ( ) into old photos, videos, lots of time reading the patents from the Marion company and others (get lots of mechanism details that way). After making contact with the folks at the historical society I was able to get inside access to the surviving shovel near here, which filled in SO many details. 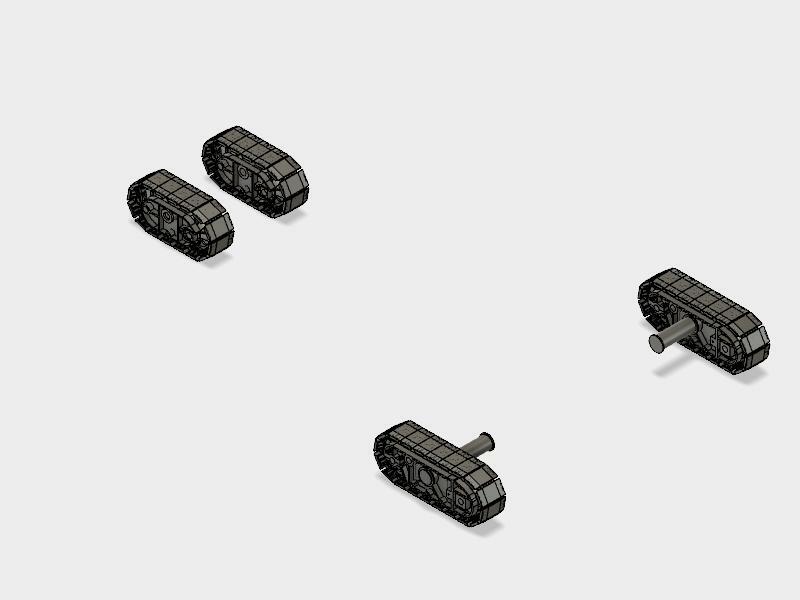 I think I am within a week of finishing up the 3d drawing, and then can start generating the 2D blueprints from that. Bad Behavior has blocked 12766 access attempts in the last 7 days.